Click here for samples of the translation by Herb Jahn. Comments: Hardbound large octavo. XVI & 1000 pp. 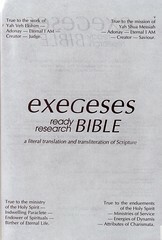 In the extensive preface exegete Herb Jahn introduces the specialities of his Bible: The Manuscript distinctions: The basis Authorized Version, which needs clarifications and corrections; the exegesis which is printed with different letter types within the text to enhance the flow of thought; the transliteration of names to point out the richness of their meaning; the translation and transliteration of titles to distinguish Hebrew and Aramaic words translated 'God'; the Lexikon that verifies the 'exeGeses' by expository critiques i.e. through the Strong's Exhaustive Concordance. 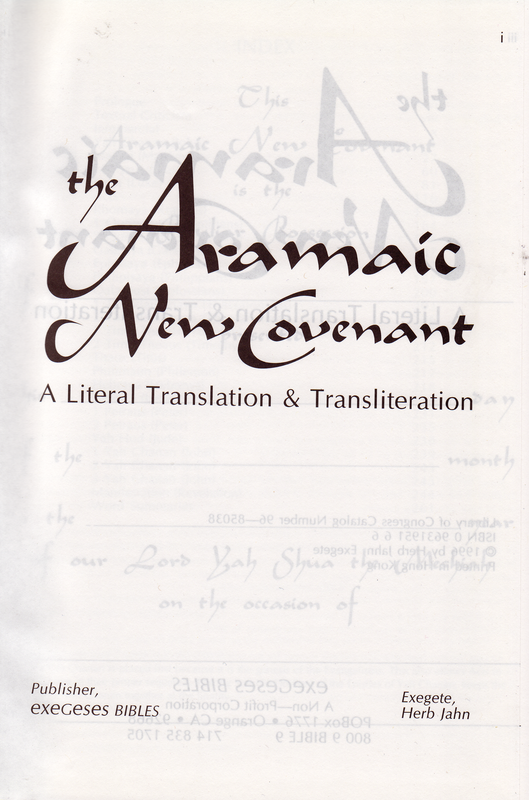 - The Old Testament order of Scriptures is traditional, the order of the New Covenant (New Testament) places Yahn's (John) Gospel first. Herb Jahn inserted short paragraph headings, scripture references are not given. 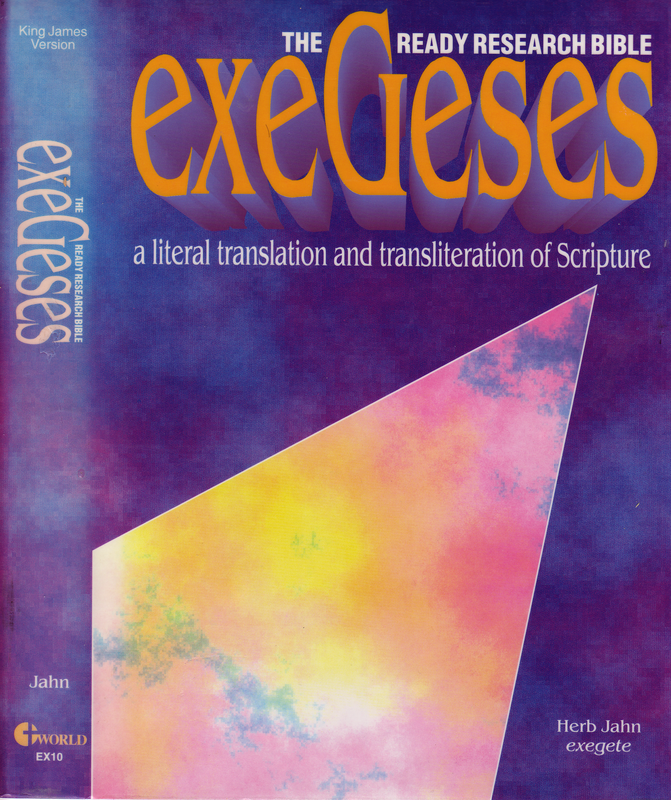 The original meaning of the biblical writings should so be ascertained by Jahn's diligent research. 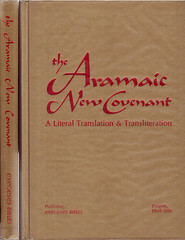 Contents: New Covenant (Aramaic spelling of biblical Books) translated from the Peshitta; Word Summaries. Comments: Hardbound, large octavo, XII & 276 pp., sticker with ‘Addendum‘. 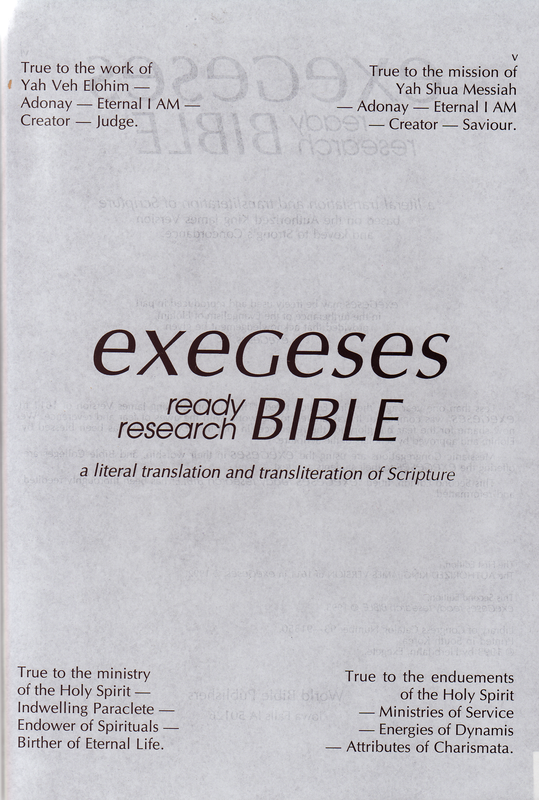 Six pages of Prologue, therein the exeGeses principles are introduced; the Author presents the grounds for his work. 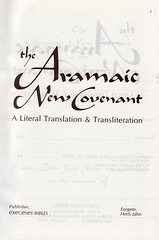 - The Aramaic Version Jahn presents is according to his conviction »the first and only literal translation and transliteration of the New Covenant – translated directly from the language of our Lord Yah Shua the Meshiah and his apostles«. 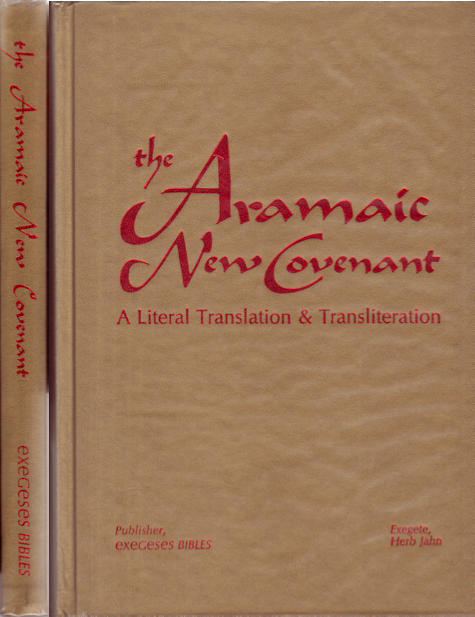 The traditional order of the NC- books is altered, so »Yah Chanan« (John) precedes the synoptic Gospels. The Scripture text is arranged in double column; references to the Old Testament and brief word explanations are added to the respective verse.